The Memphis Grizzlies today announced their promotional schedule for the 2016-17 regular season, introducing all-new collectibles and keepsakes to celebrate the new era of Grizzlies basketball in Grind City. Tickets start at just $10 and are available for purchase at all Ticketmaster locations, Ticketmaster.com, the FedExForum Box Office, online at grizzlies.com or by calling 1-800-4NBA-TIX. The Grizzlies will tip-off their Grind City campaign and promotional calendar on Opening Night – October 26 – with a Grind City t-shirt to the first 10,000 fans in attendance. Almost half of the Grizzlies home game slate will feature collectible keepsakes, including the David Fizdale-inspired “Fizz Glasses” on Nov. 25 when the Miami Heat visit FedExForum. New faces will continue to don Grizzlies’ giveaways, like the Chandler Parsons-inspired yoga mat, presented by Methodist Healthcare, which will be given away to the first 3,000 fans in attendance on Jan. 21 vs. Houston. 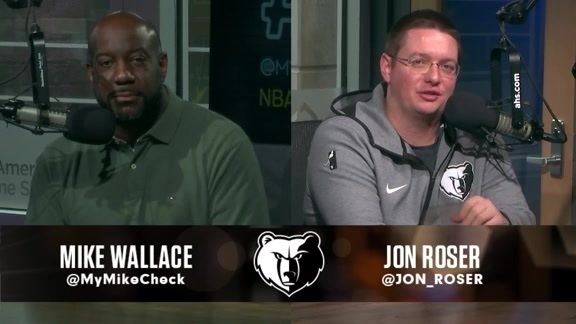 The Core Four of Mike Conley, Marc Gasol, Tony Allen and Zach Randolph will be featured on fanfare on four different occasions: Mike Conley Socks at the March 9 game vs. L.A. Clippers; Marc Gasol Grill Set at the March 11 game vs. Atlanta; Z-Bo Wrestling Buddy at the fan-favorited Wrestling Night on March 18 vs. San Antonio and a Tony Allen Pepper Grinder at the April 9 game vs. Detroit. A complete promotional calendar is below. 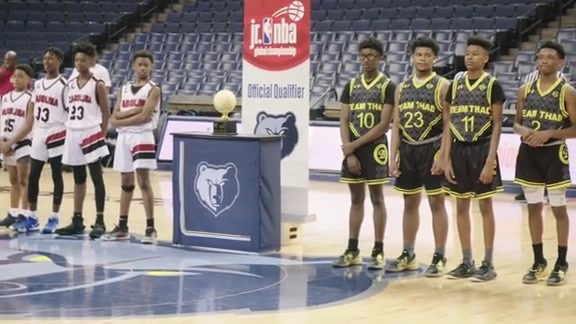 Several promotional ticket packages are also available to bring the entire family to a Grizzlies game, with discounted rates so fans can grind and dine while they cheer for the home team. To celebrate the Grizzlies’ new partnership with local pizza vendor, Rock’N Dough, Grizz fans can save some serious dough by attending one of the five “Rock’N ‘Save Some’ Dough’ Nights. Starting at just $20, the Rock’N Save Some Dough promotion offers one Terrace Level ticket, one Rock’N Dough Pizza Slice and a free collectible mug for five nights only: Nov. 4 (Los Angeles Clippers); Dec. 16 (Sacramento); Jan. 8 (Utah); Feb. 6 (San Antonio); March 9 (Los Angeles Clippers). Fill up on Grizz with the KFC Family Meal Deal. Families can receive four Memphis Grizzlies Terrace Level tickets, a coupon for a free 8-piece Family Fill Up which includes three large sides, four biscuits and four Pepsi fountain drinks and four Memphis Grizzlies hats for any of the following five home games: Nov. 19 (Minnesota); Dec. 18 (Utah); Jan. 20 (Sacramento); March 31 (Dallas); April 9 (Detroit). Starting at $70, the KFC Family Meal Deal is the most affordable way for the entire family to enjoy dinner and the game. The Memphis Grizzlies recently unveiled their MLK50 Pride uniforms. The team will proudly wear their museum-inspired uniforms and help the National Civil Rights Museum tip-off their year-long remembrance of the 50th anniversary of Dr. Martin Luther King Jr.’s assassination for six games in 2017: Jan. 15 (Chicago – MLK Jr. Celebration Game); Jan. 21 (Houston); Jan. 30 (Phoenix); Feb. 6 (San Antonio); Feb. 10 (Golden State); Feb. 28 (Phoenix). Also, when the Grizzlies host the San Antonio Spurs on Feb. 6, the first 3,000 fans in attendance will receive a National Civil Rights Museum inspired scarf.